It is approaching that time of the year that I absolutely love. 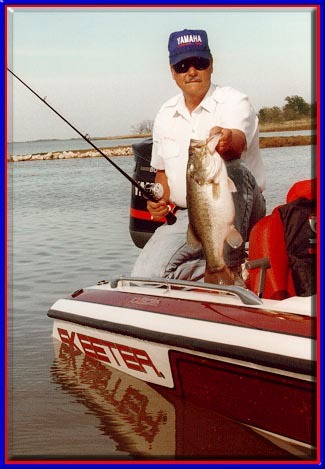 Early springtime is when BIG ol’ hog bass in the 10-pound range will be prowling the shallows going through their annual spawning ritual. Many different lures will be chunked at these big bass during the upcoming months, but I assure you that few will be as effective as the spinnerbait. Spinnerbait’s come in all shapes and sizes and more than a few pro’s believe the spinnerbait to be the best all-around lure that you can have tied on your line. As with all baits there are a few on the market that have a reputation for being “real killers”. Strike King produces the Pro Model and Spin-Dance spinnerbaits with the always attractive Mirage silicone skirts. 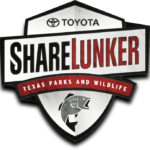 Stanley Baits has a full line of baits that are proven winners, and the Houston-based Texan Lures has an assortment of baits that are flashy and get the attention of lunker bass. Just recently the Texan 1/2-oz spinnerbait (chartreuse body with chartreuse willow leaf blades) accounted for some real heavyweight fish on Lake Conroe and Lake Sam Rayburn. You never know for sure what these Texas bass will want, but I would sure have a few of these chartreuse on chartreuse baits in my tacklebox before I head to the lake. 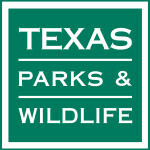 And as most of you know, during the springtime there is not a hotter color than red for our East Texas lakes. This is basically because the red is an easy color to see in murky water and at this time of the year there are an abundance of red and red/orange color crawfish in area lakes. 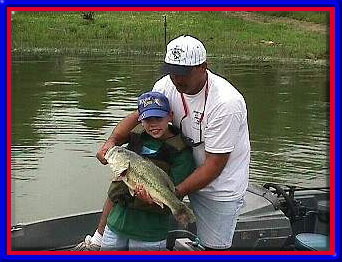 My son and I stuck some real heavyweight bass on Lake Fork last year using this red on red combination. 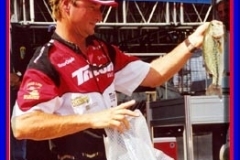 One of the deadliest techniques for fishing a spinnerbait is what we commonly refer to as “slow-rolling”. Best results come when using a spinnerbait weighing between 1/2-ounce and a full ounce. The heavier spinnerbait will allow you to cast further and keep the bait deeper than when throwing the lighter varieties. The heavier weight will also allow you to feel the bait better when that north wind makes fishing other lures difficult. 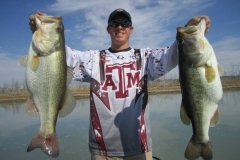 Best depths to fish tend to be between 5- to 15-feet. 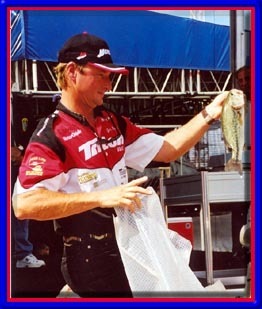 If you think you are fishing too fast… slow down even more. 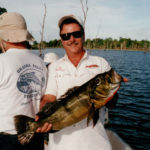 The key is to allow the bait to work slowly and stay in contact with stumps, grass, weeds, or anything near the bottom. 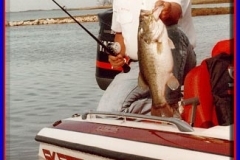 You should be able to feel the blade as the bait “thumps” it ways along, and any interruption in the blades rhythm is a signal to set the hook hard because a big ol’ lunker bass is probably on the other end of your line. A longer rod is helpful when slow-rolling because it allows you to not only make longer casts, but it also provides the backbone to set the hook with authority. 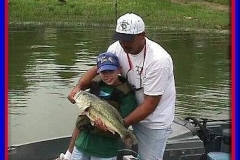 Keep a tight grip on your rod when slow-rolling a spinnerbait or a big bass might take it away from you. Here is a general guideline for selecting that early springtime spinnerbait: Blades – Murky water use larger blades. The red and chartreuse colors work well, but remember that vibration is really the key. Use a blade that will give off maximum vibration so that bass can easily pick up the sound through their lateral line. Some anglers sware by the Colorado blade because of it’s vibration, while others say there is no better blade than the willow-leaf, especially when fishing near submerged grass. Color – White and chartreuse are proven colors, but be sure to toss in a couple of black, yellow, or a combination of the two. If I had to select one color pattern it would probably be the white/chartreuse combination. It is an all-around dynamite color and has been for a number of years. 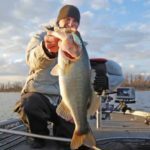 Trailer – There is nothing that makes a spinnerbait come alive more than a plastic worm or pork chunk placed on the hook as a trailer. The trailer will slither and undulate through the water and make the bait look like something that a big bass just has to clobber. I recommend the Strike King Pigtail Trailer because of it’s diamond dust finish and lifelike leg movement. 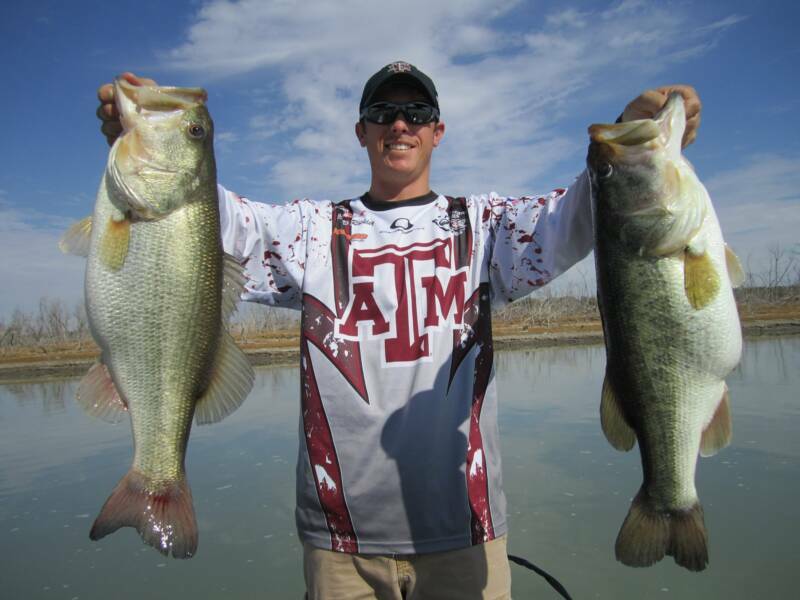 Spinnerbaits and early springtime weather go together like cowboys and rodeos or red beans and rice. If your not chunkin’ a spinnerbait during the next few months you will definitely be missing out on some great fishing action.